Arrival in Irkutsk. Transfer, accommodation – homestay in cozy appartaments in very center of Irkutsk. The appartament block is located a 2 minute walk from the trade and cultural center of the city – Karl Marks Street which also leads you to the favourite Irkuskers’ and the city guests’ promenade place – the embankment of the Angara river. Most of the homestay hosts speak foreign languages. Double rooms. Walk around the down town. l.
Breakfast. Transfer to Olkhon island. It is a rather long way (about 300 km) and we’ll have to take a ferry across “the Small Sea Straight” of lake Baikal. The road goes through Ust-Orda Buryat National District. Lunch in a cafe. Our destination point is the settlement of Khuzhir – administrative center of the island. All together there are 9 settlements on this big island. Accommodation at “Solnetchnaya/Sunny” tourist camping. Facilities outside. Dinner. Breakfast. Walk to the cape Burkhan – one of the 9 main Asian sacred places. Close to Burkhan Rock there is the Bay of Youth. Local belief says you can get younger if you swam in it. Lunch. Rest on a sandy beach. Dinner. Breakfast. Jeep trip to te northern tip of the island – Khoboi Cape (40km one way). During the trip we’ll visit the most picturesque bays, rocks and capes of Olkhon. Picnic lunch. Dinner at “Solnetchaya” camping. Breakfast. 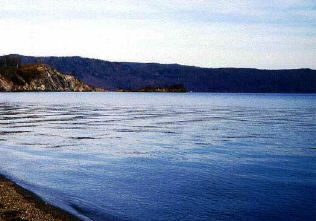 Departure to the village of Listvyanka – settlement on the shore of lake Baikal at the source of its only outflow – the Angara river – about 400 km. Lunch on the way. Arrival to Listvyanka, accommodation in a family guest house. Walk around the settlement, visiting the souvenire market where you can also taste shashlik or baikalian fish. Dinnerr. Breakfast. Packing up to travel to the Tounka National Park, situated on the territory of the Republic of Buryatia. On the way you will make stops by sacred places, both shamanistic and buddhists. Lunch at a small cafe on the border of Irkutsk region and Buryatia. Arrival to Arshan – a spa resort, located at the foot of the Sayans mountains. Accommodation at local families. Dinner. Breakfast. Walk to mineral springs and waterfall on the Kingarga river. Visiting datsan – Buddhist temple. Lunch. Time at leisure. Dinnerr. Breakfast. Departure to Irkutsk. Lunch at a cafe on Koultuk hill – picturesque view of Baikal. Arrival to Irkutsk. Accommodation..
Breakfast. Transfer to the airport. Seeing-off.